New eco-efficiency study in supermarket refrigeration carried out by the independent British consultants SKM Enviros and commissioned by EPEE evaluates and compares supermarket refrigeration technologies in terms of their environmental and financial impact. Ever since the EU has committed to cut greenhouse gas emissions by 20%, food retailers have been under enormous pressure to reduce their carbon footprint. EPEE members are committed to actively help reducing the climate impact of their products. 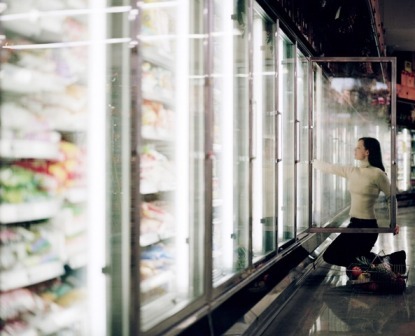 Refrigeration is clearly part of the solution, as it accounts for at least 50% of the energy consumption of supermarkets. The eco-efficiency study on Supermarket refrigeration systems, carried out by the British environmental consultants SKM Enviros and commissioned by EPEE, evaluates and compares case by case the current and future relative performance of supermarket refrigeration technologies in terms of both their financial and environmental impact on a global life cycle basis. It demonstrates that energy efficiency is key to reducing the total greenhouse gas emissions of supermarket systems, as energy consumption typically represents between 60 and 80% of their total climate impact. Andrea Voigt, Director General of EPEE: "Looking only at the refrigerant without taking into account the energy consumption of the system and other parameters such as climate can be quite misleading and detrimental to the environment." Presenting the eco-efficiency study at ATMOsphere conference, Andrea stated: "There is clearly no universal refrigerant. To reduce the overall climate impact of supermarket refrigeration systems energy-efficiency, the immediate reduction of direct emissions by improving the tightness of installations and using lower GWP refrigerants wherever possible as well as safety and reliability should drive the choice of technology adapted to each application." Taking into account the findings of this study, EPEE calls for a holistic approach on refrigerants, taking into account the eco-efficiency concept, the freedom of refrigerant choice, and the need to prioritise energy efficiency.